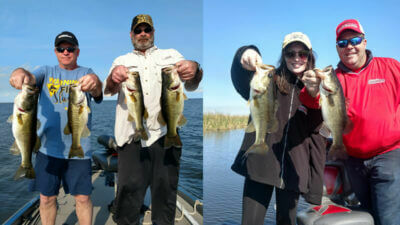 Wondering how Lake Okeechobee Bass Fishing is? Do you want to fish on this beautiful lake for the first time? Now is the time to come explore what Lake Okeechobee has to offer. March is a fantastic month to catch the largemouth bass of your dreams. 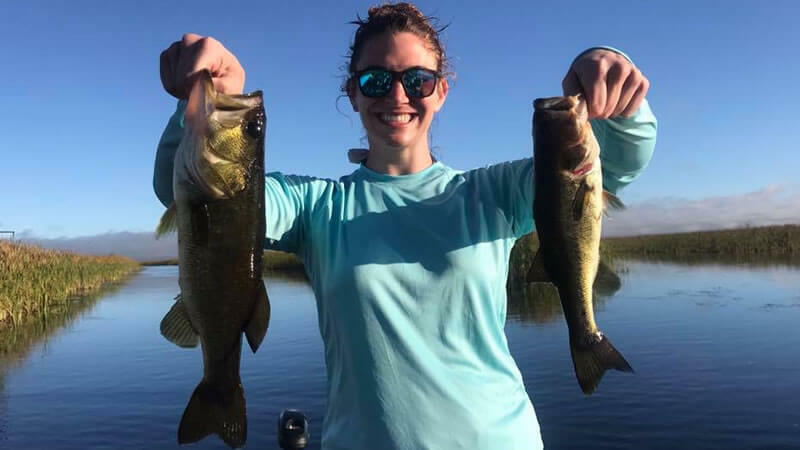 Whether you are here for business or family time, you always have time for Florida bass fishing. 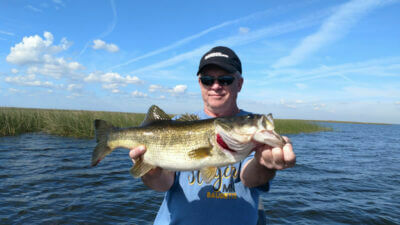 Hop on board for a Business Associate Bass Fishing Charter on Lake Okeechobee. Captain Brian Brown is the local expert on these upcoming fishing trips. Captain Brian has spent most of his career fishing all areas of Lake Okeechobee. Where ever you want to fish, he will work endlessly to find the big bass for you. Belle Glade, Florida and Clewiston, FL are two prime locations this time of year. The big bass are biting and we hope that you enjoy a day on the water soon. Captain Brian Brown had the pleasure of fishing with Dan and his business associate Florian from Holland. It was a fun afternoon for these friends and associates. 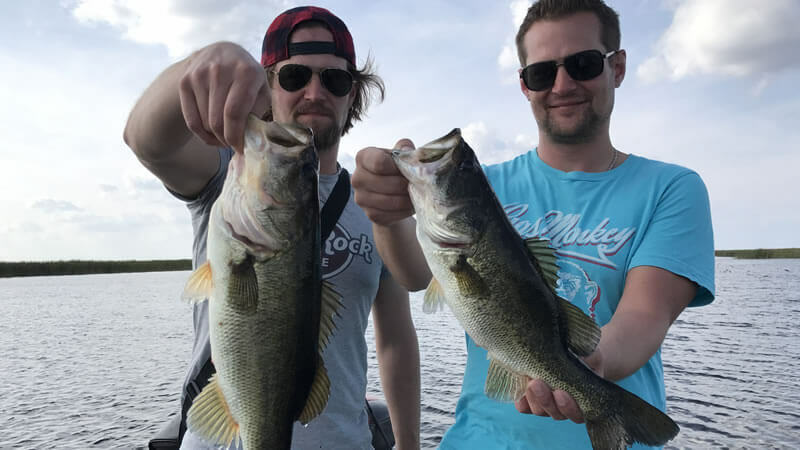 This was both their first time experiencing what Lake Okeechobee had to offer. They were absolutely amazed on how beautiful this lake was and how different it was from other fisheries that they cast a line in. Dan and Florian adventured out of Slims Fish Camp in Belle Glade, FL. Florian started off the day with two nice fish at the first spot. It was a slow but consistent day on the water. Captain Brian made sure to move around to several spots in order to make sure they got to see the lake. Luckily, every spot we stopped, the fish were biting. Dan and Florian had a great time on the water. They are looking forward to their next adventure on Lake Okeechobee! Captain Brian will show them another great fishing trip. Just shortly after this fishing trip, Captain Brian was back on the water for a two-day fishing adventure. 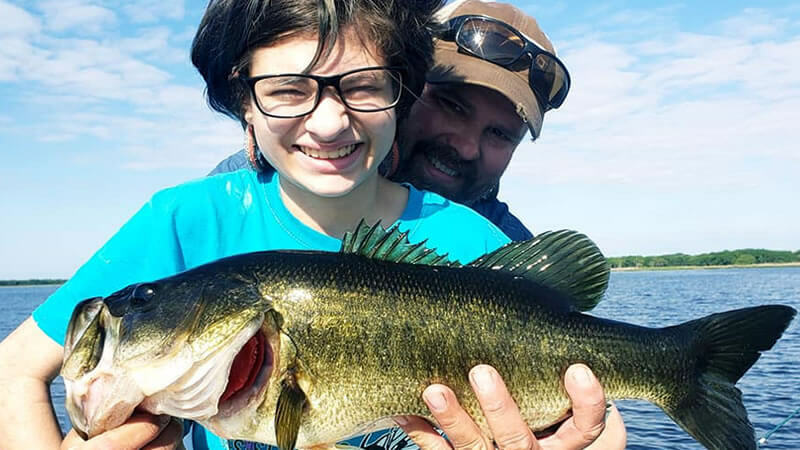 This time he had the pleasure of fishing with Doug and his daughter Lauren. They were traveling to Florida to get away and enjoy some time in the sun. Doug was traveling to Cincinnati and Lauren was traveling from Houston looking to spend some Father-Daughter time. 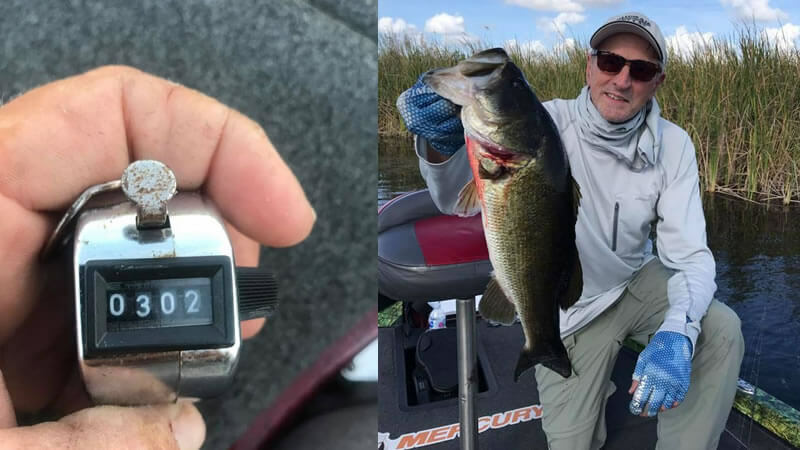 While doing so, Lake Okeechobee Bass Fishing was on the list to do. They adventured out of Clewiston, FL and headed east toward Belle Glade. Captain Brian was taking them to a place that he has been catching bass all year long. The baitwell was filled with shiners and ready to catch some bass. Unfortunately, they were on the back of a cold front and that can make the fishing very unpredictable. The fishing was not the best on both days due to changes of weather but they managed to land several nice quality largemouth bass. They caught bass on both wild caught shiners as well as artificial baits. The second day of fishing was spent west out of Clewiston. Even though Lake Okeechobee did not show them the best of times, they still enjoyed their time together. Sometimes when the fishing isn’t the best, it keeps you hungry for the next trip and bite. 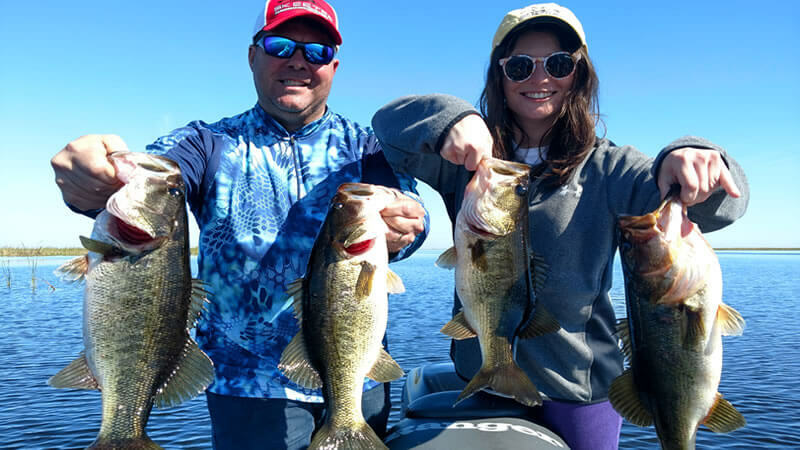 Doug and Lauren enjoyed their fishing trip and are looking forward to getting back on the water with Captain Brian in the near future! 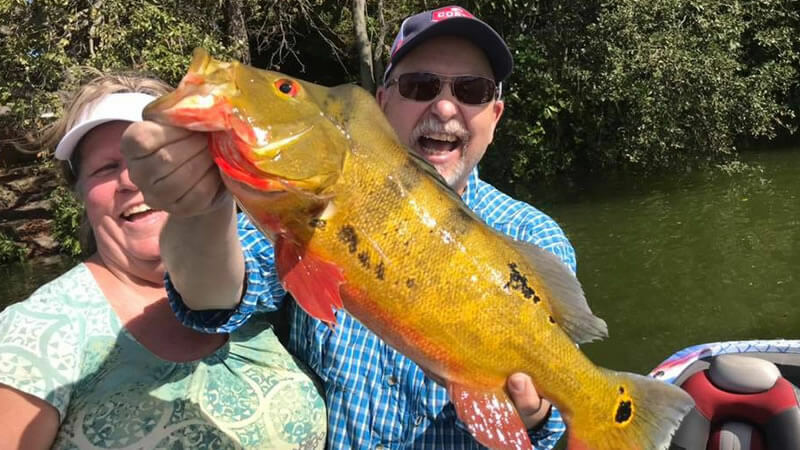 It was not long after these fishing adventures that Captain Brian was back on the water. This time he had the pleasure of fishing with repeat clients Gary and his father Roger. They were traveling from Minnesota looking to spend some quality time on the water. The full moon was a couple of days away which made us think that the bass were going to bite, but they had different plans. 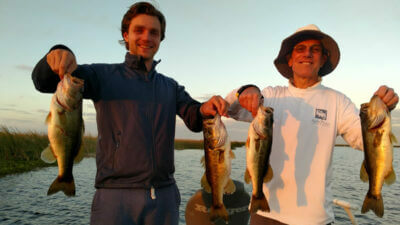 Gary and Roger explored what Clewiston Bass Fishing had to offer. It was slower to start but the bite picked up as the trip went on. After moving to several spots, Captain Brian made it happen for them. It was steady action after pulling into a hole that was holding some nice fish. They had a great time catching largemouth and are looking forward to their next adventure on the water! Lake Okeechobee is looking beautiful. Once the weather stabilizes, the bass will begin to eat steadily. Don’t miss out on your adventures as the fishing is about to get really good. We look forward to seeing you on the water on Lake Okeechobee. There is nothing like a relaxing day on the water with family, friends or loved ones. See you on the water next time!